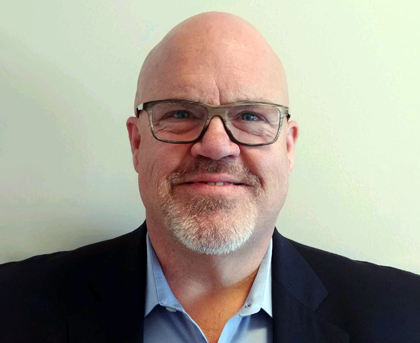 BackOffice Associates, a global leader in solutions that solve enterprises’ most complex data transformation challenges, announced today its Board of Directors has appointed the company’s current President of Global Consulting and Services Kevin Campbell as Chief Executive Officer. BackOffice Associates is a portfolio company of Bridge Growth Partners, LLC, a growth-oriented private equity firm that targets investments in the technology and technology services sectors. Campbell has an unblemished track record in driving growth at scale. Prior to joining BackOffice Associates in April 2018, Campbell was COO of Oscar Insurance Corporation and oversaw the company’s growth, more than tripling its membership during his 18-month tenure. Campbell was also Group Chief Executive Officer at Accenture where he drove double-digit growth at several of its multi-billion-dollar business units. BackOffice Associates solves complex enterprise data transformation challenges by combining data expertise, intelligent software and packaged solution accelerators to yield certain and superior business outcomes. The company’s software applies automation and guidance infused by AI and machine learning technologies to data migration, data quality, analytics, master data management, metadata management, and information governance initiatives. Utilizing the market’s top data specialists, validated industry knowledge and proven methodologies, BackOffice Associates has led thousands of successful data transformation projects including for more than 200 Forbes Global 2000 organizations. SAP resells BackOffice Associates' key data migration and quality solutions as SAP Solution Extensions. Founded in 1996, the company is headquartered in the greater Boston area and employs 800+ data specialists in 25 offices across the globe. To learn more, please visit www.boaweb.com.